The route is characterized by the old buildings, the Mediterranean vegetation; mainly plants and different kind of herbs and spectacular view. Easy path, mostly downhill. It would be good to wear long pants and proper shoes, as the path is quite rocky. Also halfway you can head right to the Holy Monastery of Agia Moni. 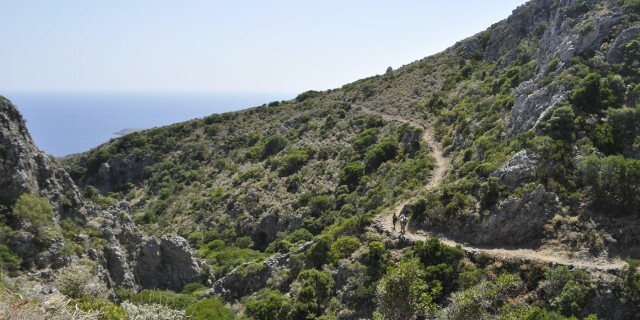 One of the best walking paths of Kythera.